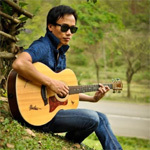 New Delhi, Aug 31 : India has repeatedly proven how multi-ethnic groups can co-exist without killing each other and it must continue to do so, believes Nagaland-based singer-composer Alo Wanth, who hopes to spread goodwill in the country and his northeast friends, through the "universal language" of music. His songs talk about justice, peace and the need to strive for a better world - and through a concert in the capital Saturday, he wants to "build a bridge between people from different tribe, community, states and countries". "Love for music can really unite and bring goodwill among different people. Many people from the northeast warned me about the crisis going on, but I think this will be a proof that there is peace and the authorities are in control and that the Northeast people are safe," Wanth told IANS. The 31-year-old`s concert comes at a time when Assam is witnessing ethnic violence that has so far claimed over 80 lives. Thousands of people belonging to the northeast, but living in Bangalore, Mumbai, Pune and other southern cities, have been forced to flee. Wanth believes the need of the hour is to maintain harmony. "We know it`s easy to say it in words, but for those who have been hurt by the recent violence, I want to say that `Please forgive your neighbours`. Please remember no civilisation can move forward without forgiveness and hope for a better future. India has proven again and again that multi-ethnic groups can co-exist without killing each other. It`s time to remember that again," he said. "I believe there were many miscommunications and wrong information that added unto the unrest and outcomes of the recent of the violence. It`s very important to have clear and free-flow communication to have better understanding of each other. I, as a singer am striving and will do so to bridge gaps between people from northeast and other parts of the country," added Wanth. After studying music in the US, Wanth has so far released two albums – ‘Beautiful’ and ‘Life’. His third album, `Discover Me`, which was launched in Nagaland in August, will also be released here Saturday at the concert. The event is being organised by Hi-Pitch Productions, which provides a platform to struggling talents from northeast. With the current scenario of unrest in the country, our vision to reach out to various audiences across the country through music made more sense like never before," said Wanth, who plays modern rock and also contemporary jazz and blues. Apart from the singer and his band, three other artists will also perform at the event.